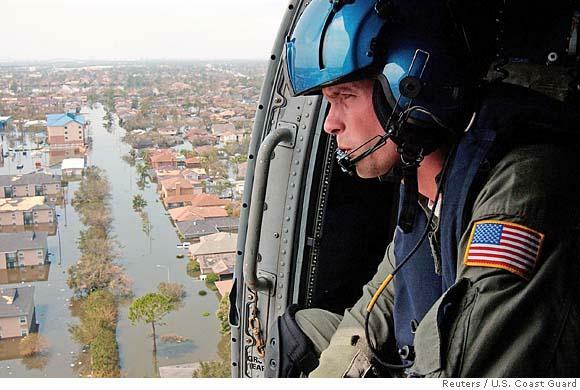 It has been suggested by many that a great use of the Army/Navy bases proposed for closure by the U.S Governments “Base Realignment and Closure” Commission – BRAC would be to relocate hurricane Katrina victims there permanently to rebuild communities. I am unaware of the logistics behind such an operation, but it does seem like a good idea if feasible. Almost 400 Army Reserve and Army National Guard facilities, creating joint centers. Due to its prior usage, they would have beds, showers, food and maybe air conditioning laying a perfect foundation to build a community. In addition, the military bases could provide temporary government offices for the affected areas. That would also help the refugees get the information and support they need. San Antonio’s , former Kelly Air Force Base has already began accepting people on buses that were turned away from the Astrodome. Up to 7,000 people could be accommodated in an air-conditioned office building and warehouse. 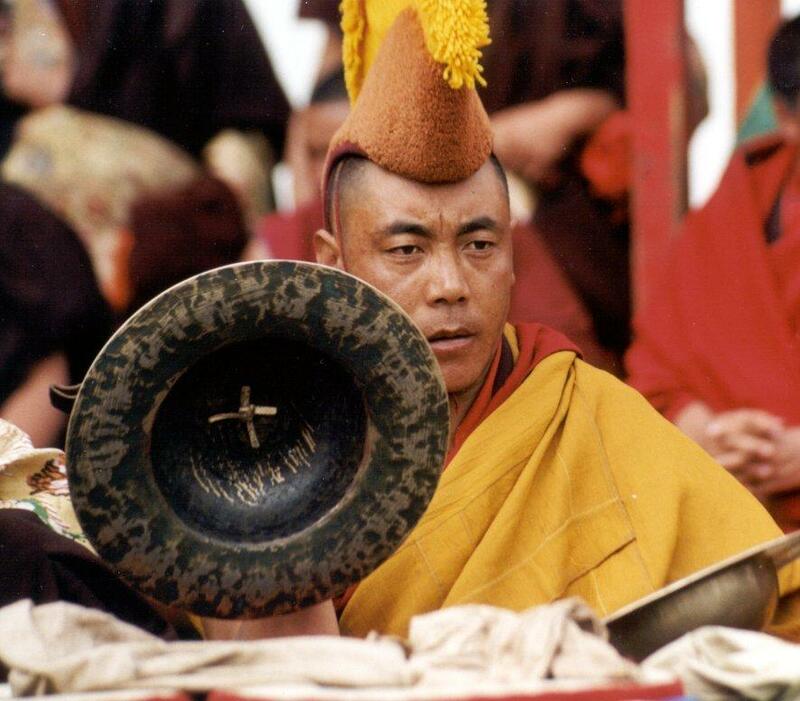 From fierce fighting Shaolin Monks to Monks with MBA’s… Although it might not seem so at first, Buddhism and Business blend very well in Modern Day China. Call it Zen and the art of business management. Proving that in China’s booming commercial hub of Shanghai, even Buddhism is big business. A group of 18 Buddhist monks are taking MBA classes to better manage their temple, the official Xinhua News Agency reported. The course, specially designed by Shanghai’s Jiaotong University, teaches temple management and corporate strategy, along with marketing religious articles. 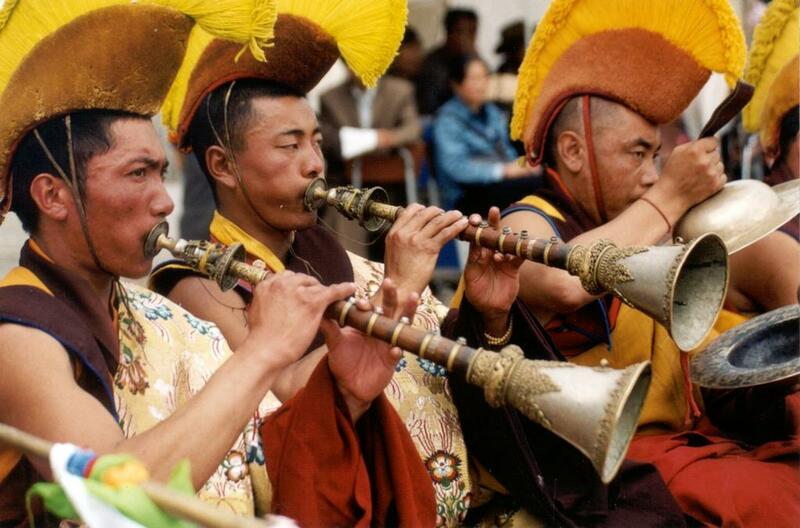 Monks also will gain some tips on how to get ahead in business from Sun Tzu’s ”The Art of War”. Thousands of Buddhist temples have been restored or rebuilt in the last quarter decade, largely to attract tourists. In one extreme example, a ruined Buddhist pagoda (Leifeng Pagoda) in the ancient lakeside city of Hangzhou was recently rebuilt in glass, steel and concrete, complete with escalators, elevators and touch-screen electronic guides. “So many of the people in the arena here, you know, were underprivileged anyway, so this (chuckles) — this is working very well for them.”. The former First Lady also said that the fact that the 15,000 (mostly black) evacuees in the Astrodome might want to stay in Texas was “kind of scary”. 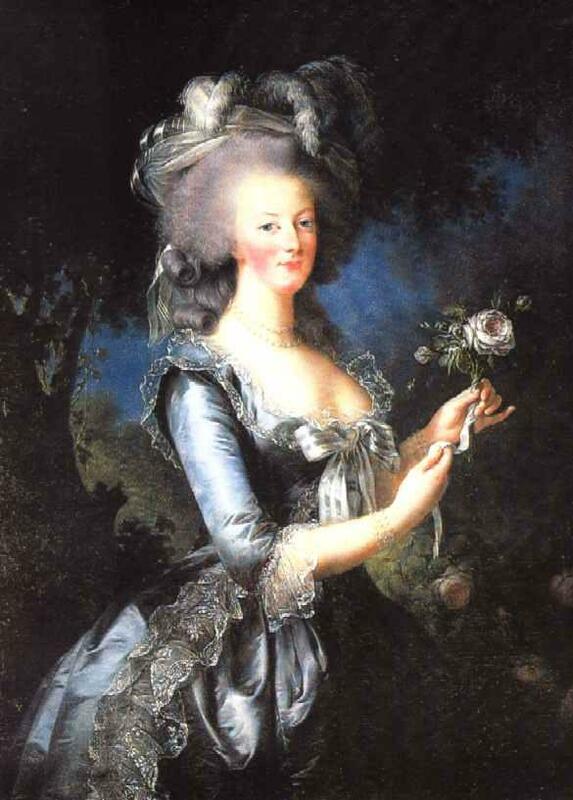 The left is quick to crown her the modern day “Marie Antoinette” who during the height of the bread shortage in Paris, stated foolishly “If they have no bread, then let them eat cake!” infuriating the already incensed crowds at the height of the French revolution. Although these comments seem unfathomable by many, they expose the true socio-ethnic divide that makes it impossible for the rich and wealthy to genuinely empathise with the have-nots. The need for social integration has never been so evident — New Orleans and every other community needs to work towards mixed income communities. Present housing practices lets the rich insulate themselves from the poor – allowing “third-world” societies that we can turn a blind eye to, flourish in our midst. An equally important issue is the need to build better public transportation. Most of the city’s residents got out before the storm hit, but tourists and the city’s poorest, disabled and infirm residents were left behind to face the hurricane — and nearly a week of waiting for aid and transportation out of the city. A good public transportation system would have been invaluable to the poorer residents of New Orleans and would have served well in early evacuation efforts and possibly in the aftermath. Albert Einstein (1879- 1955) and Rabindranath Tagore (1861 – 1941) have more than just wild hairdos in common. They are one of the foremost thinkers of our time — and are both winners of the prestigious Nobel Prize. 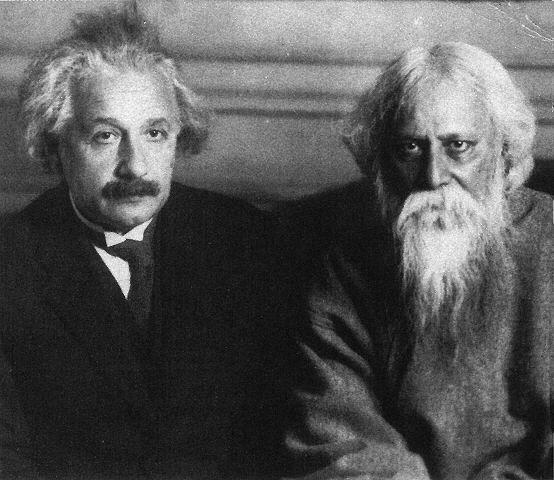 Tagore was a poet, philosopher and nationalist who was awarded the Nobel Prize for literature in 1913, becoming the first Asian to win a Nobel Prize. He wrote a number of Indian independence movement songs including the Indian National Anthem. Einstein on the other hand is widely regarded as the greatest scientist of the 20th century. He proposed the theory of relativity and also made major contributions to the development of quantum mechanics, statistical mechanics, and cosmology. He was awarded the 1921 Nobel Prize for Physics for his explanation of the photoelectric effect in 1905 and “for his services to Theoretical Physics”. I am almost convinced that unruly hair is an essential prerequisite to unbound intellectual prowess. I had the honor of attending a beautiful Ghazal concert by 3 formidable greats. Ghulam Ali, Talat Aziz and Anup Jalota. It is an experience one can never forget. A Ghazal in short, is a collection of couplets (called sher). Ghazals were written by the Persian mystics and poets Jalal al-Din Muhammad Rumi (13th century) and Hafez (14th century), the Turkish poet Fuzuli (16th century), as well as Mirza Ghalib (1797–1869) and Muhammad Iqbal (1877–1938), who both used the Persian as well as the Urdu language. 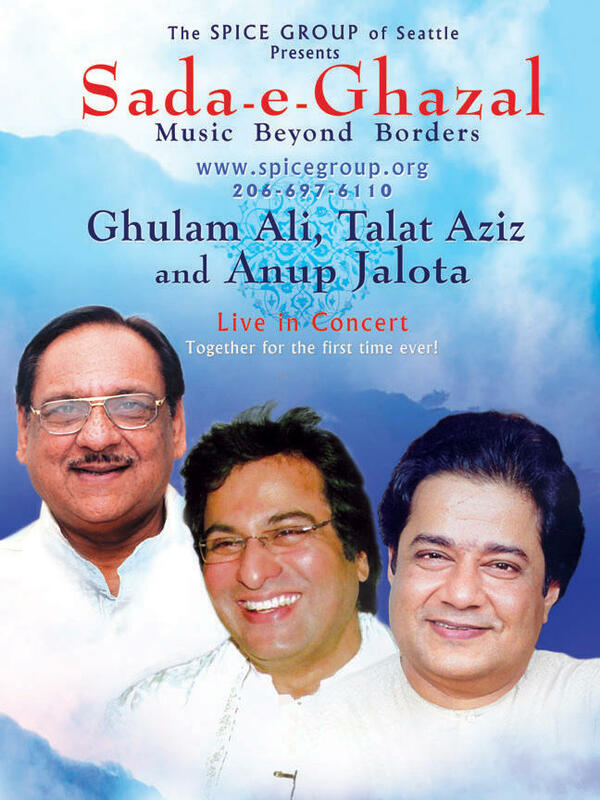 Talat Aziz and Anup Jalota (both of Indian Origin) and Ghulam Ali (of Pakistani Origin) are doing their bit for the Indo-Pak peace initiative with a series of joint concerts that started in March of 2005 spanning seven weeks across fifteen cities in the US. The Ghazal legends first performed individually in a packed four-hour concert and then combined their unique styles into a harmony at the UCLA, Royce hall on Saturday night. The crowd response was phenomenal to a unique joint concert. 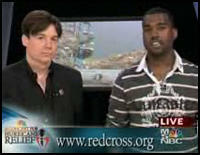 Last night during the NBC broadcast of a hurricane relief concert, Grammy winning rapper Kanye West let out a torrent of criticism against President Bush’s seemingly lack of response to the crisis on the Gulf Coast. West stated, “I hate the way they portray us in the media. If you see a black family, it says they’re looting, [If] you see a white family, it says they’re looking for food.” While allowing that “the Red Cross is doing everything they can,” West declared that government authorities are intentionally dragging their feet on aid to the Gulf Coast. He even said that “They’ve given them permission to go down and shoot us.” West concluded his remarks with, “George Bush doesn’t care about black people”. In this world, where we are quick to react to celebrity outburst, it is easy to lay blame or show support for such occurrences. A more important question is, does Kanye West voice the frustration of the thousands of New Orleans residents who waited helplessly in these miserable conditions. It took the National Guard four days to arrive in New Orleans… a gross misjudgment. What happened here? Who dropped the ball? We might not agree with Kanye’s remarks, but one thing is certain .. as the muddy waters clear, we are bound to find a number of political careers buried in the mess. New Orleans. A city known for its Jazz filled lazy ambience, tonight gains notoriety in the world for a dismal reason. The beautiful streets of New Orleans are filled with desperation and sadness. Hurricane Katrina has caused unparallel mayhem and havoc leaving the city in shambles. Thousands of people wade through its flooded streets aimlessly in search of hope and human compassion … yet help seems a distant ways away. At a time like this, millions of Americans huddle by their T.V screens unsure how to react. These scenes seem almost surreal. Over the years, we have learned to live with such images. A cry for help is almost always distant enough in some far away third world country to comfortably bury deep into our conscience. Unfortunately, these scenes are a cry from within our borders. As our politicians and relief organizations gather their resources we must question the apathetic attitude with which we have learned to deal with human tragedy. Human suffering is universal. The world understands our helplessness and tragedy and prays with us. All they ask for, is a compassionate thought when tragedy strikes their lands… be it New Orleans or Sudan.